The CEO and president of the Seattle-based company is one of this year's winners. A lot of small community banks in Washington didn’t make it through the housing finance crisis and Great Recession. One that did was Seattle-based Sound Community Bank. “We never bet the bank on one business model or segment,” says CEO and President Laurie Stewart, the driving force behind the bank’s success story. “We’ve always been committed to a diversified balance sheet.” By minimizing the opportunities for losses, and recognizing them quickly when they occurred, Sound was able to build reserves, snap back to profitability soon and even add branches. 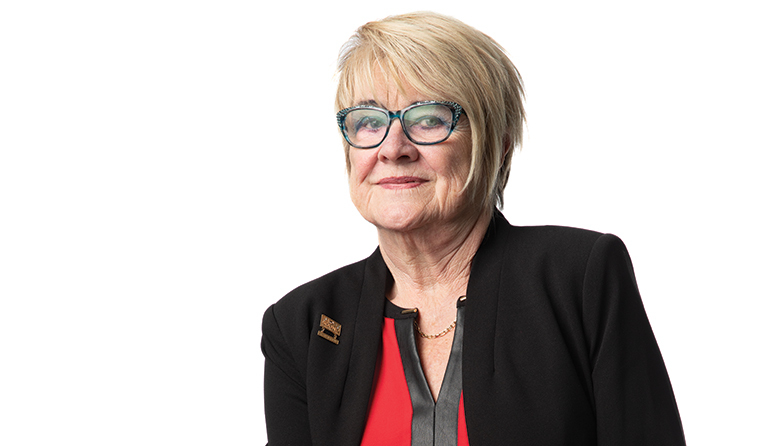 Stewart, who just celebrated 29 years with the bank, says her approach to running a small, locally focused bank is to pay attention to the details and follow her curiosity, whether it’s the numbers — when the CFO departed, she took over that job for three months, giving her an even closer look at how the company was doing — or technology or people. “I want to understand the elements of our business,” she says. Stewart’s career with Sound started when it was a small, single-branch $38 million credit union. Today, it’s a publicly traded commercial bank with $720 million in assets and 10 total offices across King, Pierce, Snohomish, Jefferson and Clallam counties. “This is an organization that can continue to grow and prosper,” Stewart says. Peers in the industry think well of the job she’s done; she was recently named community banker of the year by trade publication American Banker.